Kevin Johnson, Founder of Quantum Slice Corporation, a Tech Resource company, has won an award at the 38th annual Crime Stoppers International Conference in Panama City, Panama earlier this month. The award was for Best Website for Crime Stoppers Guelph Wellington that Mr. Johnson redesigned for CSGW as a volunteer. Quantum Slice believes that all websites should look good on every device and take pride in coding sites that will load as fast as possible. Good news for businesses who want to improve their connection to their customers as well as increase page rankings with search engines. As well as Crime Stoppers Guelph Wellington, Mr. Johnson has been integral in developing other sites such as the Puslinch Historical Society, Snap Shot Solutions and Wellness Through Massage. He is also the co-founder and web designer of Puslinch Today. Congratulations to Kevin Johnson for earning this international acclaim, a most impressive feat! 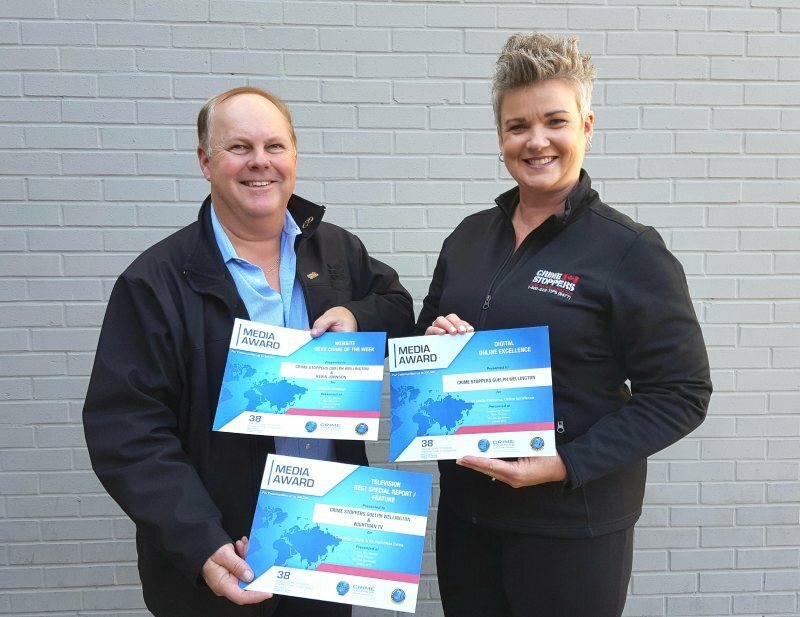 Dave Forster, President of Canadian Crime Stoppers, presents three awards to Sarah Bowers-Peter Program Coordinator for Crime Stoppers Guelph Wellington (CSGW). The awards, for TV, Website and Social Media, were given to Foster on behalf of CSGW at the 38th Annual Conference in Panama City, Panama. This is the first time the local program has won international recognition. Next Article » Oh My Goodness, It All looked Delicious!